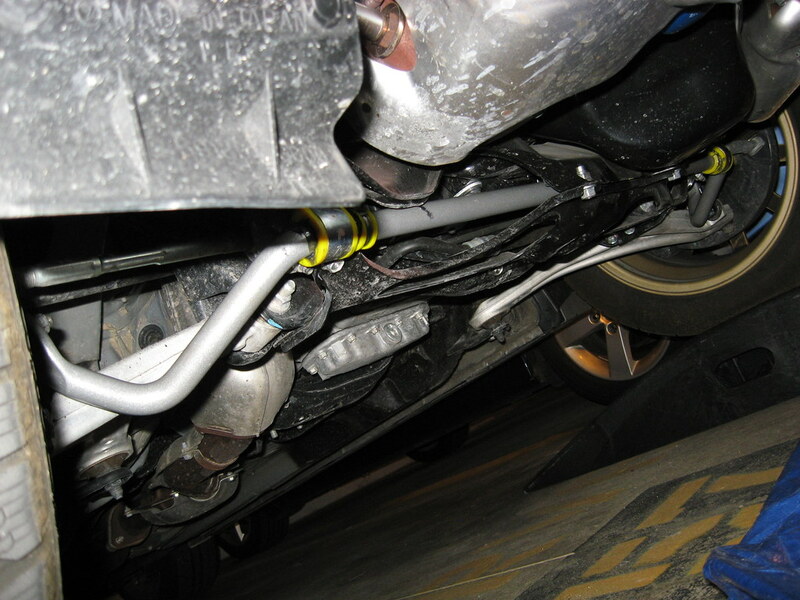 I have recently installed a Whiteline BSF39Z on my SH and have noticed on steering full lock the sway bar touches the tie-rod. I was told that a Roll Centre Adjustment kit will help it, but I'm thinking the extended ball joint on the Whiteline tie-rod will make the tie rod closer to the sway bar right? My car is lowered with coilovers only about 1.5 inches, nothing crazy. Anyone know how to fix the issue? Not sure how to fix your issue, but I have the Whiteline RCA kit on my SH and I absolutely hate it. Increased NVH is not worth the trade-off. Mine is lowered on STI struts and springs so it's a fair bit lower than stock. I have a stock swaybar and have no issues with it touching. My advice is to avoid the RCA kit if you can. From previous experience I had 2 whiteline sway bars that were the wrong shape, they didn't touch the tie rod end but they both pulled the drivers side sway bar link across on a massive angle due to the bar bent incorrectly. Whiteline was great to deal with and found that a batch came through that we're defective. Maybe chuck up a couple of pics so we can have a look. Your problem has nothing to do with the ALK or FRC. Last edited by Berjo on Fri Oct 26, 2018 8:40 pm, edited 1 time in total. This might shed some light on your problem. How sure are you that you're installing it correctly? It should be underneath your steering arms. Pretty sure it's installed correctly. Its installed correctly. I wonder if its because your end links are shorter. Have you tried the stock end links? I think they are longer (than what you have) which will rotate the bar more towards the back of the car.